Wathiq service (WTHIQ) in Ministry Of Interior portal allows you to authenticate your SIM card without visiting your sim operator branch, it will allows you to activate both data sim (Internet) or normal sim (voice). 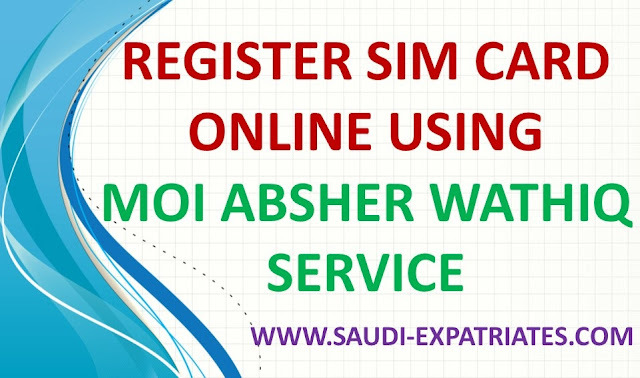 - Each person can register and authenticate a maximum of 10 prepaid Sim cards using Wathiq service of absher. This limit of 10 is only for prepaid sim, there is not limit on postpaid sim cards.